Oh my, it is hot!! Don’t get me wrong, I love summer and live for warm weather, but turning the oven on is a no- no these days. Just give me something no bake and cool, like Kozy Shack® Rice Pudding and I am a happy camper!! 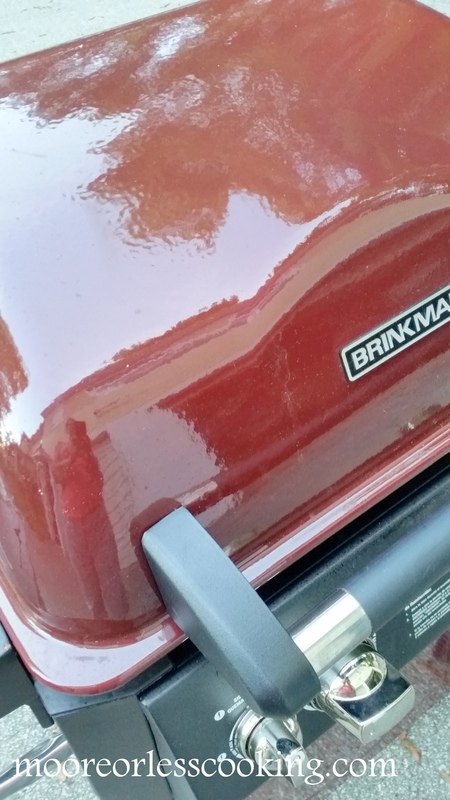 So we are a grilling family! I love my new gas BBQ. For so many years we used briquettes and lighter fluid, and what a messy pain that was! Now, we just turn the gas on and it is ready to go!! I have been trying out different fruits on the grill. I have found that grilled fruit is amazing. It tastes caramelized and sweet and juicy. 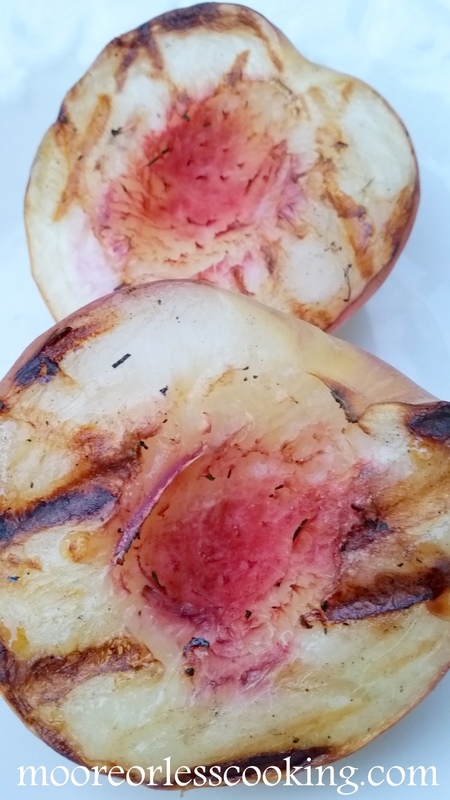 I have been grilling peaches and now they are my new favorite! 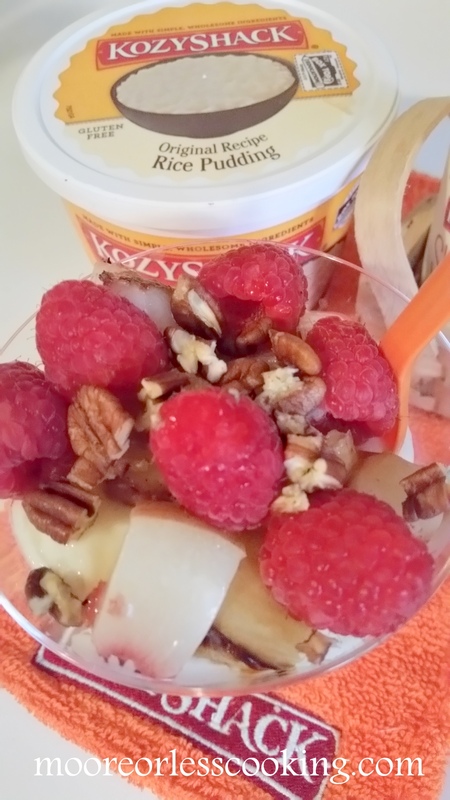 I created a new dessert with Grilled Peaches, Fresh Raspberries and toasted Pecans over Kozy Shack® Rice Pudding. 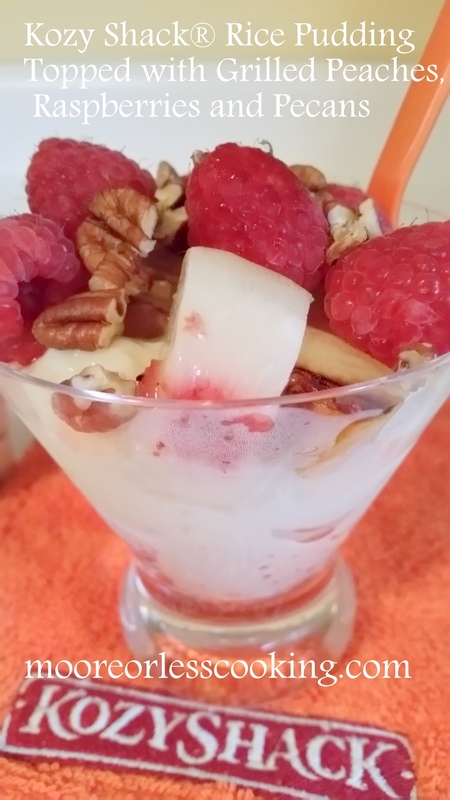 It is a wonderful No Bake refreshing dessert, perfect for summer parties and BBQ’s. Did you know that National Rice Pudding Day on August 9? I love rice pudding so much and love that Kozy Shack® Pudding is made with real, simple ingredients—and the perfect way to make your summertime celebrations even more special. Kozy Shack® Pudding tastes delicious straight out of the fridge, of course. But you can turn your everyday pudding into a special treat by adding fruit, spices and other toppings you already have at home. There is no wrong way to enjoy it! Scoop two tablespoons of Kozy Shack® Rice Pudding into a serving dish. Place Chopped grilled peaches on top. Place raspberries over peaches. Sprinkle with pecans. Serve immediately. Wrap with saran wrap and place in to refrigerator until ready to serve. Find out more at Facebook.com/KozyShack and share your memories and ideas with the hashtag #SummerofPudding #KozyShack on Instagram and Twitter. How do you like to enjoy your pudding? What toppings do you always have on hand? Something salty? Something sweet? Do you simply spoon some into a dish and smile? Do you like to top it with fruit, crunchy pretzels or whipped cream? How do you keep it simple and delicious? Many thanks to Kozy Shack® Enterprises, LLC for sponsoring today’s story and encouraging me to try Kozy Shack® Pudding! #SummerofPudding #KozyShack. these appetizers are just lovely!!!!!!!!!!!! nice ideas for a quick healthy snack!! Mmm, i love grilled fruit and i love rice pudding! What a perfect Summer dessert, the peaches are so amazing right now. 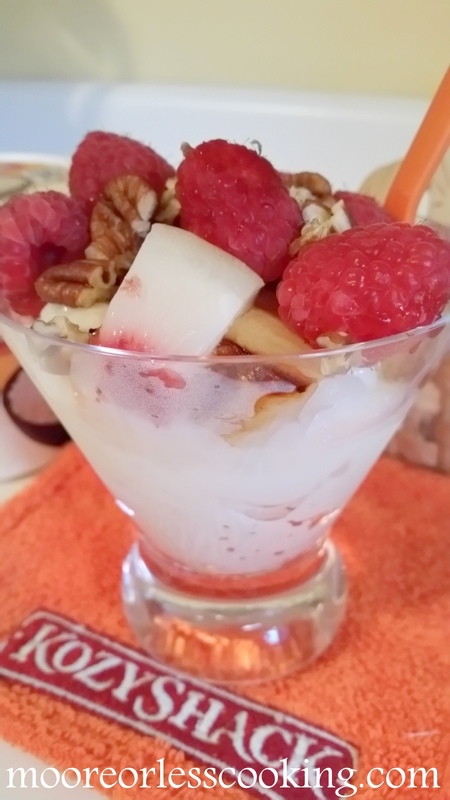 What a great summer snack and will have to check out this brand of rice pudding Nettie! It is just the perfect little thing for summer! I love that you grilled the peaches for this. It looks delicious! Yummy. My hubby LOVES rice pudding. This would be a great dessert for him. We really need to try grilling the peaches. That sounds perfect!